First announced in March, the program allows participants to pay off the device's cost by meeting daily fitness goals. Starting this month, UnitedHealthcare members enrolled in the insurer’s incentive-based “Motion” program are able track their daily activity using their personal Apple Watch, or one purchased and earned through the program. This comes roughly half a year after UnitedHealthcare first announced the availability back in March, and a few months after the July rollout planned at the time. Through the employer-sponsored program, eligible participants use a fitness wearable to record their daily steps and receive monetary rewards for reaching certain daily milestone — for instance, logging 10,000 daily steps or 3,000 steps within a 30-minute period. The program allows eligible participants to order and begin using the Apple Watch at no initial cost outside of tax and delivery, and then earn the device by meeting their daily goals. Achieving these can earn program participants up to $4 each day, according to UnitedHealthcare, meaning that the full price of the watch can be reached within six months. Of the “hundreds of thousands” of people UnitedHealthcare said have access to the Motion Plan, more than 45 percent have chosen to participate. Fifty-nine percent of those who register a device remain active for at least six months, current participants log a daily average of 12,000 steps and since launch more than $38 million has been earned through incentive rewards, according to the payer. In short, this means that a substantial number of active plan members may now be exposed to Apple’s wearable, the latest version of which boasts an updated accelerometer and gyroscope, a heart rate monitor and other software-based health features. Similarly, others who may be eligible for the program but have not enrolled could be enticed by the top-selling smartwatch, increasing their general wellness and reducing burden on healthcare at large. UnitedHealth kicked off its Motion program with Qualcomm Life back in March 2016, and originally used activity tracking devices provided by Trio Motion. Since then, the company added wearables from Fitbit, Samsung and Garmin to the lineup while embracing other digital technologies like apps and CGMs throughout the rest of its business. 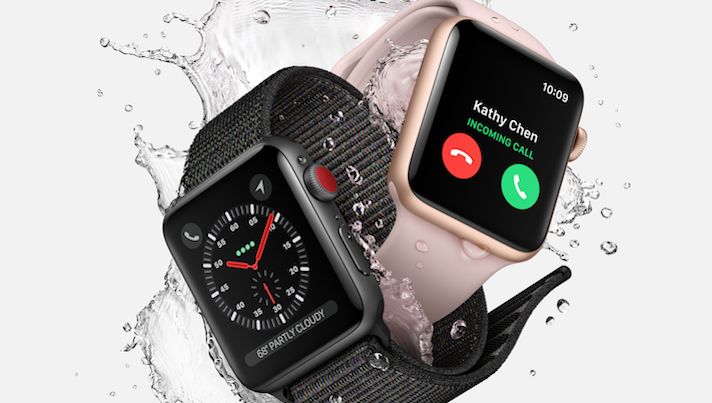 Apple, for its part, has supplied its watches to Aetna since September 2016, and has often alluded to its interest in the employee wellness space.